A picturesque town blessed with abundant natural beauty, Bilaspur is located in the beautiful state of Himachal Pradesh in the Bilaspur district. 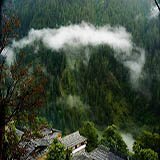 It is situated on the banks of the River Sutlej in the outer hills. Founded in the year 1663, it is a highly developed city and the district covers an area of 1167 sq km. The newly formed Bilaspur Township can be best described as the first planned hill town of the country. 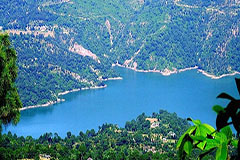 Bilaspur travel guide is full of references to the mesmerizing sceneries and cultural heritage. The city is popular for its Gobind Sagar Lake, Bhakra Dam, Naina Devi Temple, serves as a major attraction among tourists. Bilaspur was known as Kahlur and was the capital of a princely state established in the 7th century. The state of Himachal Pradesh afterwards changed into a royal state of British India under the authority of the British province of Punjab.The Guru of Sikhs, Guru Tegh Bahadur went to the city to participate in the condolence of Raja Dip Chand of Bilaspur on May 13, 1665. On July 1 1954, Bilaspur was made a district of Himachal Pradesh state under the act of the Indian Parliament. The Cave is famous for the revered sage Vyasa and is situated at the foot of the city. It is believed that Saint Vyasa had meditated in this cave. The name of the city has been derived from the name of the cave itself. It is indeed a wonderful place to visit. At just 20 Kms, it is an attractive place in Bilaspur located on Ghagus-Brahmpukhar road. It is named after Rishi Markandey. 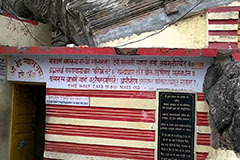 As per the history, Rishi Markandey had no children and thus, he worshiped in this temple to have a child. As a result, Lord Shiva blessed him with one son but warned that the boy will live up to the age of 12 years only. The Fort is a very nice and peaceful place located on western slope of Kotdhar. The Fort was constructed by the ruler Raja Ratan Chand of Bilaspur. It is situated at an elevation of 3000ft above sea level and is rectangular in shape. 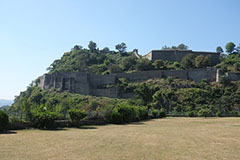 The Fort is located at a distance of 58 Kms from Bilaspur and at an elevation of 1500 m above the sea level. It is an important place to visit on the trip to Bilaspur. It is said that the fort is 12m high and is made up of stones. The eye-catching Govind Sagar Lake starts from district of Bilaspur and extends into the district Una. It is an artificial lake formed as a result of the world famous Bhakra Dam situated on the River Sutlej. The animals that can be seen here are Panther, Wolf, Chausinga, Sambar, Hyena, Sloth bear, Nilgai, Chinkara and wild boar. 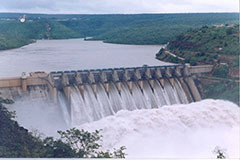 The nearest Dam from Bilaspur is located in Bhakra village and is one of the highest gravity dams in the world. It was dedicated to the country by Pandit Jawaharlal Nehru in November 20, 1963. 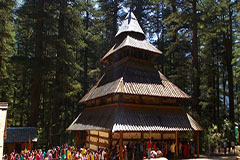 It serves as a prime attraction of the city drawing large number of tourists from all over the country. 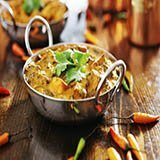 There are plenty of Bilaspur tourist attractions,things to see in Bilaspur, and one can choose from range of activities available or things to do in Bilaspur which can be a walk in the green forests areas, adventure treks. 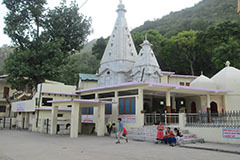 If you are searching for Bilaspur attractions,sightseeing in Bilaspur,best places to visit Bilaspur,things to see in Bilaspur,tourist places in Bilaspur by list,tourism point Bilaspur,tourist attractions near Bilaspur, places worth visiting Bilaspur, Bilaspur holidays, Bilaspur tourist spots, see Bilaspur Himanch Pradesh, best attractions in Bilaspur, tourist attractions in Bilaspur, local sightseeing in Bilaspur, attractions in Bilaspur Himanch Pradesh,places for sightseeing in Bilaspur,Bilaspur peak, places of tourist interest in Bilaspur,what to see in Bilaspur,sightseeing around Bilaspur, list of famous tourist spots in Bilaspur Himanch Pradesh,Bilaspur sightseeing places your search ends at allseasonsz.com for the likings of all age groups. 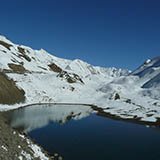 There are tourist places near by Bilaspur offering majestic views of Himalayan peaks.Allseasonsz.com Himanch Pradesh best travel agents required for making your Bilaspur trip memorable. 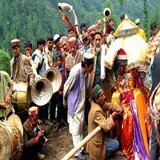 Whether it is about sightseeing around Bilaspur, Bilaspur excursions, Bilaspur places to visit, tourist attractions around Bilaspur-Allseasonsz.com Himanch Pradesh is convenant to propose amazing Bilaspur Packages offers and deals for your tour.